Stephanie Kime Popa’s musical career began at age 4, when she sang the “Queen of the Night” aria from Mozart’s opera The Magic Flute in her living room. Unfortunately, Mrs. Popa never pursued voice lessons and started studying the violin instead, at age 8. Her first teacher was Mrs. Marjorie Martin in Oakwood, Ohio, and later studied with Magdalena Albu, Eleanor Bennett, Karen Young, and Xiao-Guang Zhu in the Dayton, Ohio area. In high school she studied with Cincinnati Symphony Orchestra violinist Stacey Wooley, who also introduced her to Stickley style architecture and Skyline Chili. 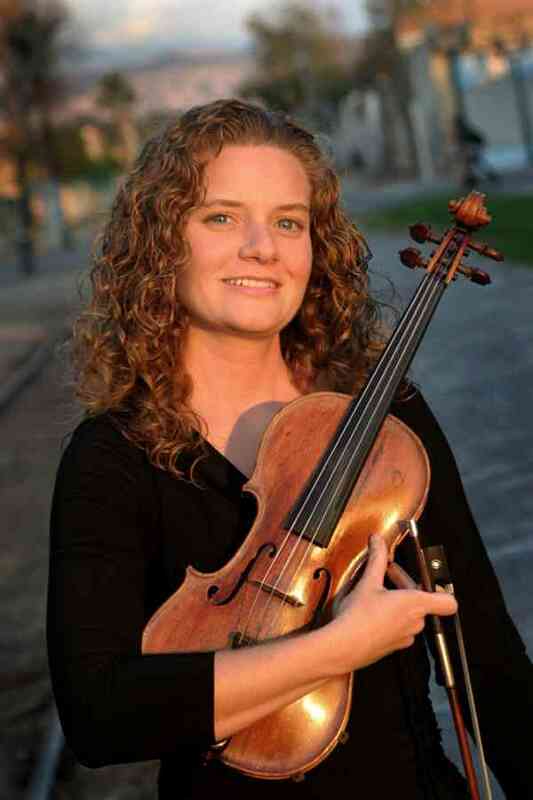 After a short detour to Southern College of Seventh-day Adventists (now Southern Adventist University) in Chattanooga, Tennessee, Mrs. Popa received a bachelors and masters degree in violin performance from Cincinnati College-Conservatory of Music, in 1988 and 2000, respectively. As a private violin teacher with the Loma Linda Academy Suzuki String Program, Mrs. Popa has spent the last 12 years teaching little musicians to play Twinkle, Twinkle Little Star, and enjoys every minute of it. She also enjoys orchestral playing, and has played with the Dayton Philharmonic Orchestra, San Bernardino Symphony, and Redlands Symphony. She loves sharing her talents in local and national ministries of the Seventh-day Adventist Church, including programming musical activities for evangelistic series and benefit concerts for missions, photography, hiking, and spending time with her husband, Eduard Popa, and their large cat, Nudge.